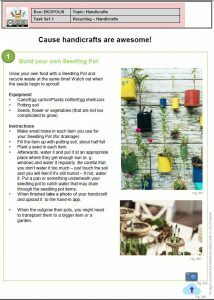 Based on the fact that environmental education was one of the fields that both teachers and youth workers unexceptionally wanted to cover within the project, the Ekopolis box provided children and youth with the opportunity to do so. 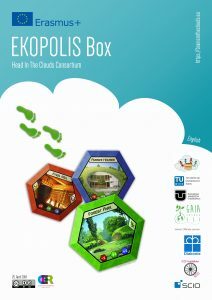 Ekopolis is a board game developed by the project partner SCIO. 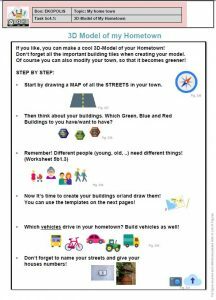 It playfully teaches young people about ecology and sustainable cities and towns. 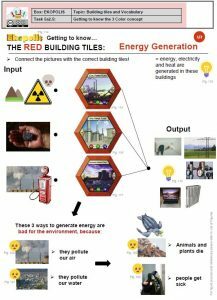 At the same time the box introduces kids to many new ecological and urban space concepts as well as related english vocabulary. 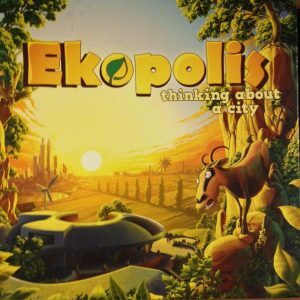 The Ekopolis Box teaches about environmental issues based on a board game with a whole variety of created follow-up activities, exercises and hand-on tasks covering associated topics. The box includs topics such as understanding the basic concept of “environment”, sources of pollution and how to avoid pollution, a short insight into energy generation as well as buildings and areas we can find in our environment, town our city, what are the purposes of these buildings and how do they impact our environment, the human footprint, the topic of recycling etc. The aim of the box is to raise the students awareness about environmental issues and how we can behave, choose and create our environment in a way, that protects the environment we’re living in.